The Obama administration on Thursday established stricter limits on the smog-causing pollution linked to asthma and respiratory illness, drawing swift condemnation from business leaders and Republicans who warned of damage to the economy. The Environmental Protection Agency said the new standard of 70 parts per billion will reduce exposure to dangerous ozone pollution and prevent thousands of asthma attacks and emergency room visits and hundreds of premature deaths each year. Environmental and health groups argued that the rules fall short. The new standard is below the current standard of 75 parts per billion but at the high end of a range announced by the EPA last fall. The move fulfills a long-delayed campaign promise by President Barack Obama as he works to cement a legacy on climate change and other environmental policies before leaving office in January 2017. After pledging during his first presidential campaign to tighten ozone limits, Obama backtracked in 2011 by yanking the EPA's proposed ozone limits amid intense pressure from industry and the GOP. White House spokesman Josh Earnest said Thursday the new ozone rule fits into Obama's strategy to cut pollution while promoting economic growth. Still, the EPA's long-awaited action set up a fresh confrontation with Republicans already angry about the administration's plans to curb carbon pollution from coal-fired power plants and regulate small streams and wetlands. Business groups said a new ozone standard is unnecessary and could jeopardize jobs. Environmental and public health groups said the new standard was a step in the right direction but did not go far enough. EPA Administrator Gina McCarthy acknowledged the intense criticism from all sides, but said her job was to set science-backed standards that protect the health of the American people, not take actions "based on popularity." In a lengthy statement to reporters, McCarthy said the best available clinical data show that 72 parts per billion "is the lowest ozone exposure that causes adverse health effects in healthy, exercising adults." From there, she decided to add in a "margin of safety" to protect vulnerable populations, including children, the elderly and those suffering from heart and lung ailments. Setting the level at 70 parts per billion "will essentially eliminate exposures to the levels that clinical studies clearly show are harmful," McCarthy said. McCarthy said the final judgment was hers, and she aimed to set a standard that was "not too high and not too low. It's very challenging. There's no bright line." Harold Wimmer, president and CEO of the American Lung Association, said the new standard "simply does not reflect what the science shows is necessary to truly protect public health." 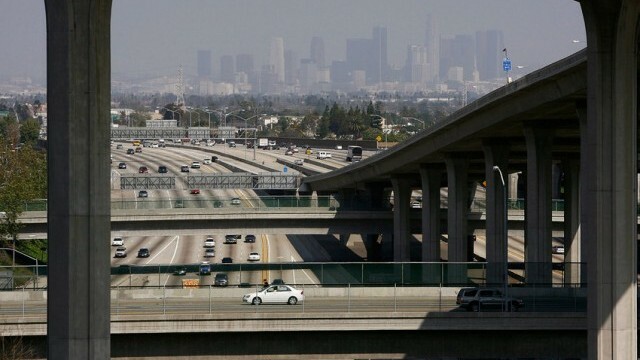 The lung association and other groups have pushed for an ozone limit of 60 parts per billion, saying it would have given Americans much greater health protections. The stricter standard would prevent thousands of premature deaths and nearly 2 million asthma attacks per year, the lung association said. Business groups also reacted harshly. The National Association of Manufacturers and other groups had lobbied the White House in recent months and spent millions on a TV ad campaign decrying the pending ozone rule as an overreach and a job killer. "We know that this regulation could have been worse, but it still feels like a punch in the gut," said Tom Riordan, president and CEO of the Wisconsin-based Neenah Enterprises Inc. and task force leader for the manufacturers group. Riordan said the EPA rule put "politics above job creation" and said manufacturers across the country, especially smaller ones, "will be forced to choose between navigating this rule and hiring new workers, between complying with Washington's mandates and giving raises to their employees." The rule issued Thursday meets a court-ordered deadline set after public health groups sued in the wake of the administration's 2011 withdrawal of ozone rules. At least one environmental group vowed to challenge the new standard in court, and business groups said they also were considering a legal challenge. Cutting ozone emissions to 70 parts per billion would cost industry about $1.4 billion in 2025, the EPA said, far below benefits estimated at $2.9 billion to $5.9 billion annually. Aiming to smooth the transition, the EPA plans to give states that have the most ozone up to 2037 to come into compliance. But McCarthy said most of the U.S. won't have to take any action, thanks to existing pollution programs and previous EPA limits on pollutants such as mercury and carbon dioxide that have the side benefit of reducing ozone. The EPA said only 14 U.S. counties would likely fail to meet a standard of 70 parts per billion in 2025, a figure challenged by business groups and Republicans. The new rules could affect job growth in nearly one-third of the nation's 3,000 counties, said Jack Gerard, president of the American Petroleum Institute, the oil industry's top lobbying group. That's up from 217 counties affected at the current ozone standard, he said.